Could you grow your business with extra capital? Turn your invoices into cash in 24hrs! Think about what you could do tomorrow! Your Finance Solution is One Click Away! Release the cash locked up in unpaid sales invoices! Meet Payroll and Supplier Invoices “On Time”! De-Stress and Focus on Your Business! Submit the form on this page and a cash flow finance expert will contact you for a free no obligation cash flow finance consultation. 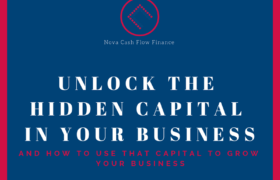 Why Choose Nova Cash Flow Finance?